We are delighted to announce that, as of 2019, we provide aerial thermal imagery services. We can now deploy, using the latest in technology, our thermal equipment to support a wide variety of applications both in the air and on the ground. 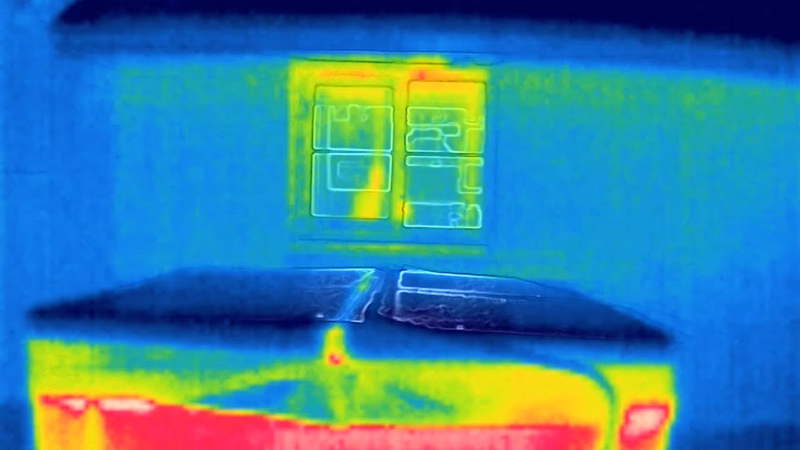 Our FLIR camera system is able to simultaneously record standard RGB data and infrared data. Traditional thermal imagery methods can be both time consuming and costly. In comparison, UAV’s can quickly cover large surface and access hard to reach areas without using expensive or high risk methods such as cherry pickers or scaffolding. We deploy technology that can enable us to measure surface temperatures to within 5% accuracy. Our ground station control read out can measure specific temperatures of any visible object. It can also provide targeted information relating to the maximum temperature, minimum temperature and average temperature. The system can be set to trigger an alert should a pre-defined temperature be detected by our FLIR system. All of this is displayed with a 640 by 480 resolution. The measurable temperature ranges can be defined should there be a need for a targeted and highly sensitive inspection. Thermal drones can also be used in search and rescue as well as for supporting the Fire Service. Our equipment can be quickly calibrated to search for human or fire heat signatures. Please note that all of our flights must be legal and safe. Therefore an application in emergency scenarios would only be conducted upon a request by the emergency services and subject to all the necessary legal and safety permissions being obtained. In such instances, regulations may be relaxed if there is a threat to life or if deemed necessary by the emergency services. Missing pets/animals – unfortunately, the use of drones for this purpose is not categorised as an emergency and thus is subject to all the standard restrictions surrounding the safe and legal use of drones. In each and every event, any request for such support would be subject to the normal planning and landowner permissions. We would not fly over congested or built up areas, people, roads, buildings, railway lines, near airports. Nor would we in any environment that may cause harm or upset to people or animals. We would happily quote for this service if, having read the above, you would still wish to proceed. Finally, we are not qualified thermographers – we are commercial drone pilots. Our company simply supplies the data and is therefore not responsible for any decisions reached or conclusions drawn from the interpretation of the data. We highly recommend that a suitably qualified person is employed to provide a full written assessment of any data we provide. Our recommendation is that a qualified thermographer attends, on site with us, during the flight so that they can review the live data and the remote pilot and thermographer can work in partnership.